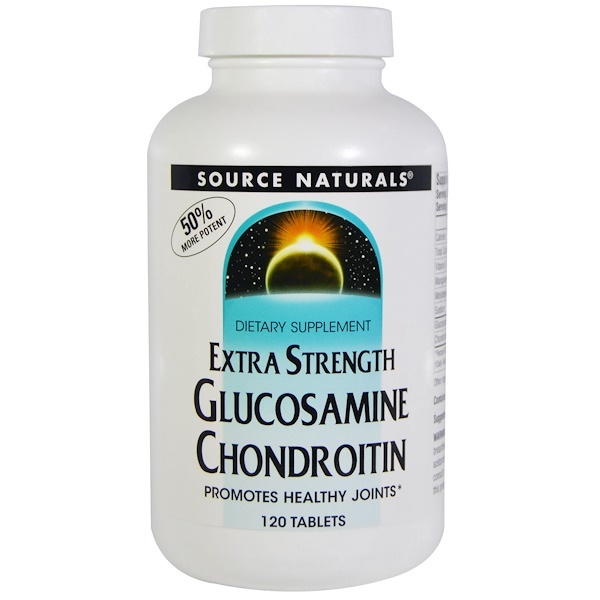 Source Naturals Glucosamine Chondroitin provides important building blocks for healthy joints and connective tissues. 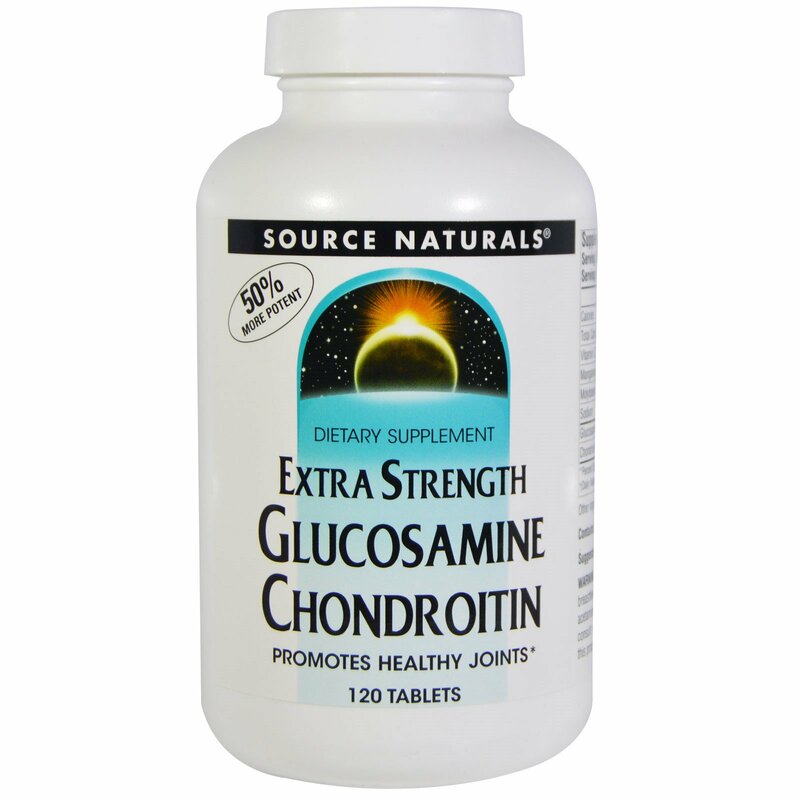 Glucosamine, an amino sugar, is an essential structural component of glycosaminoglycans, large linear molecules that help to lubricate joints, nourish cartilage and connective tissue, and assist in wound healing. Manganese is involved in the synthesis of collagen, and chondroitin sulfate lends additional structural support via its high degree of interaction with collagen fibers. 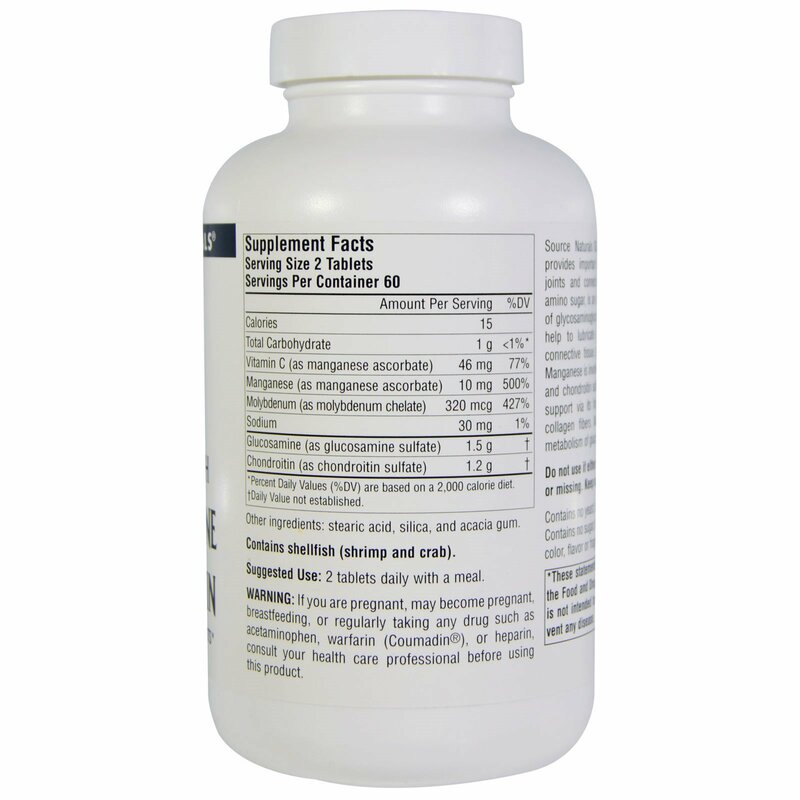 Molybdenum aids in complete metabolism of glucosamine and chondroitin. Stearic acid, silica, and acacia gum. Contains no yeast, dairy, egg, gluten, soy or wheat. Contains no sugar, starch, preservatives, or artificial color, flavor or fragrance.